“You’ll shoot your eye out!” is the famous response to 9-year-old Ralphie Parker’s air rifle request in the movie classic, “A Christmas Story,” and right on trend with Safe Toys and Gifts Month in December. 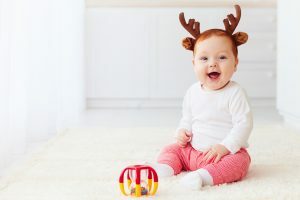 Jennifer Snyder, MD, and pediatrician with Memorial Physician Services, is also a mom to a 4 and 2-year-old who have their own gift lists for Santa, minus the air rifle. As a doctor, she encourages parents to be aware of potential risks, especially to younger children. Always read labels to check recommended ages. Think large when your children are small. Make sure toy parts are larger than your child’s mouth or could not pass through a toilet paper roll. Look for well-made stuffed animals or toys without ribbons or strings that could pose a strangling hazard. Find toys listed as “non-toxic” especially blocks, plush toys and crayons. Check electric toys for “UL Approved” label which means they are tested and certified. Gift hobby kits or chemistry sets to children over the age of 12. “When shopping for toys, the goal should always be safety over anything else,” Snyder added. Dr. Snyder also provides four quick tips to help your child overcome a fear of talking with Santa. 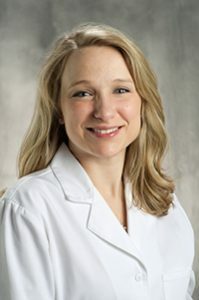 Jennifer Snyder, MD, earned her medical degree from Southern Illinois University School of Medicine in Springfield, Illinois. She completed her residency at Akron Children’s Hospital in Akron, Ohio, and is board certified in pediatrics. Dr. Snyder is a graduate of the University of Illinois Urbana-Champaign, where she majored in cell and structural biology.